The Raspberry Pi – if you can get your hands on one – isn't the only small, inexpensive ARM computer around these days. There are quite a few options with varying speeds and price points. So here we take up ARMs with a full review of the ARMini – uniquely British offering that is currently the fastest and the most costly player in this arena – and take a look at a range of alternatives for ARM enthusiasts. The ARMini is considerably quicker than the Raspberry Pi, which despite a powerful GPU has only 256MB of Ram and a 700MHz ARMv6 core – but then, a bare Rπ is less than a twentieth of the price. ARM's family of CPU cores is complex and the nomenclature doesn't help – the Raspberry Pi's ARM11 core implements the ARMv6 instruction set, whereas the Beagleboard's Cortex-A8 is an ARMv7, which is a dual-issue, superscalar CPU, meaning about twice the instructions-per-clock. Raspberry Pi supremo Eben Upton claims that the device is only about 20 per cent slower in actual use, but then, 256MB RAM is not much for running a modern graphical Linux desktop, either. It's also worth noting that the most popular Linux distribution, Ubuntu, only supports ARMv7 or better, so the latest version you can run on an Rπ is the long-obsolete and unsupported Ubuntu 9.04 – but big-name alternatives available include Fedora and Debian. 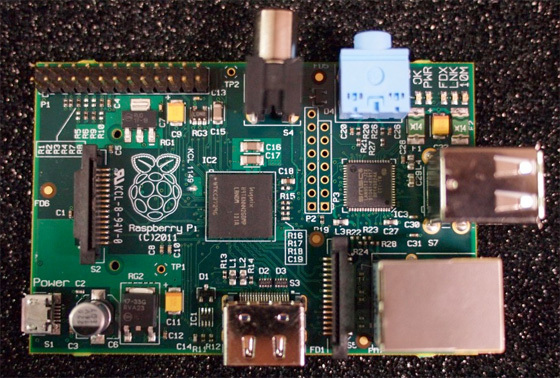 Saying that, though, the Raspberry Pi is nearly an order of magnitude cheaper than anything else out there. 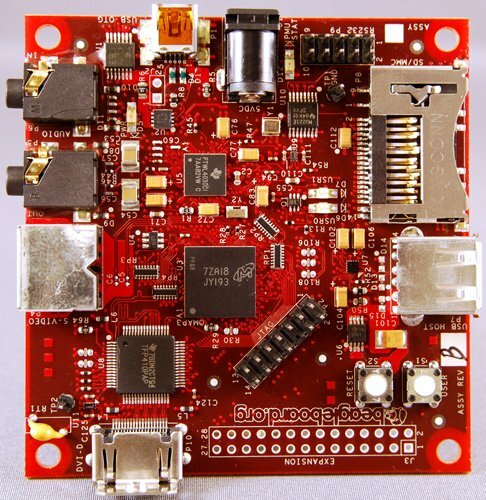 As Upton puts it: "It’s not entirely clear to me why the Beagleboard is so expensive. Somebody in that Beagleboard value chain has got to be making a pile of money – I mean, $175 for a Pandaboard or $100 for a Beagleboard? Somebody’s got to be amassing a pile of cash there, because that’s a $10 chip in that device. I don’t know why they’re so expensive."